Fenton made this Colonial Green compote in the Thumbprint pattern in the early 1960's. It is about 7.5" wide and 6.5" tall. It is in mint condition. 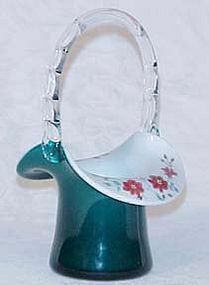 In 1986, Fenton issued this Teal and Milk Overlay top hat basket. As part of the limited issue Connoisseur Collection, it is number 222 of 1500 made. Stands about 7" tall and does have some wear concerning the gold leaves, otherwise in excellent condition. Handpainted by Linda Everson. 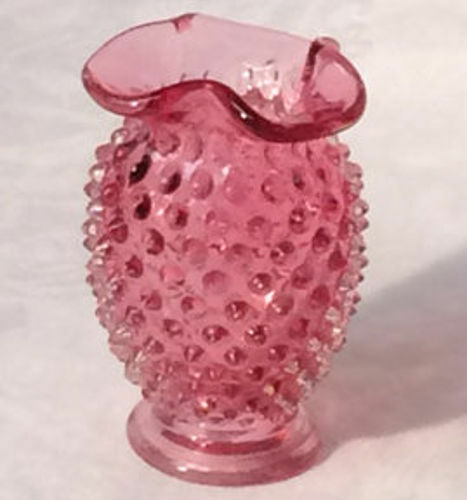 Fenton made this Country Cranberry Hobnail Mini Vase in the late 1970's. It is not often found and considered rare. It is in mint condition, stands 3.5" tall. 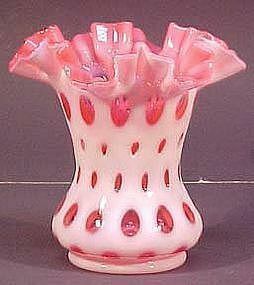 Fenton Country Cranberry 5" Melon Vase with a swirl optic was made in the 1970's and is in excellent condition. 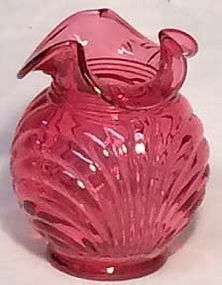 Fenton Country Cranberry Fern Optic Jug is 5.5" tall and in mint condition. Does have a hint of an embossed logo on the bottom. Made in the early 1980's. The color is a deep cranberry. 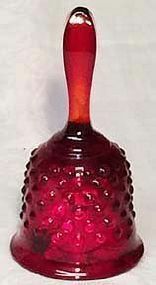 Fenton Country Cranberry Straw Vase is 7" tall and in excellent condition. Made in the 1970's. 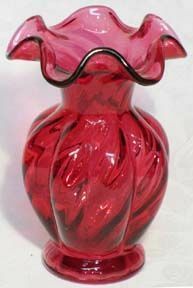 Fenton Country Cranberry Vase is 6.5" tall and in mint condition. Fenton's milkglass was made from 1952 up through the 90's. This 8" long 4-toed covered candy is in excellent condition. 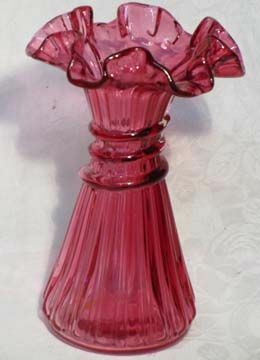 Fenton Cranberry Vase (Ruby Overlay) with diamond optic. 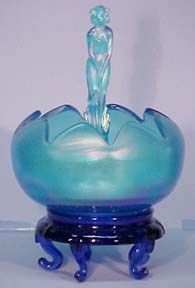 Vase is 8.5" tall, in excellent condition. Made between the years 1942-48. Fenton made Country Cranberry items from 1983 til 1999. 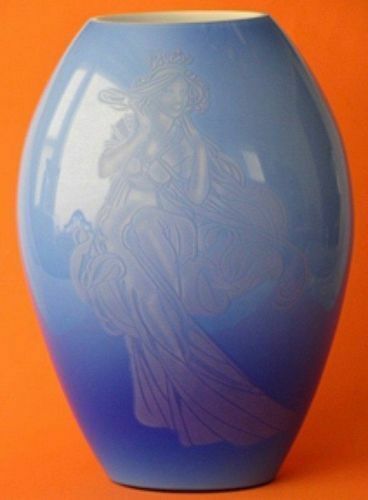 This 4.75" Caprice pattern vase is in mint condition. 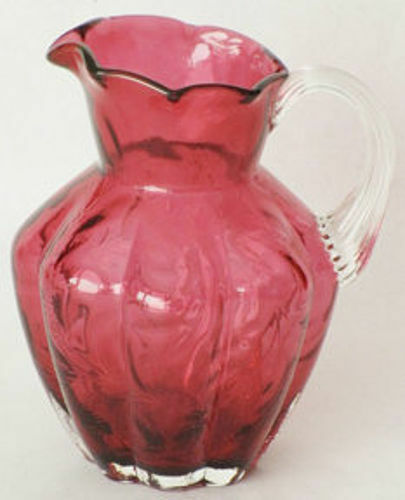 This vase is made from the original Caprice molds from the Cambridge Glass Company. 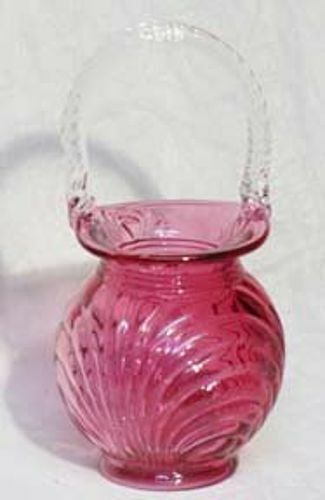 Fenton Coin Spot Cranberry Vase stands 6" tall. It is in excellent condition and was produced between 1948-64. 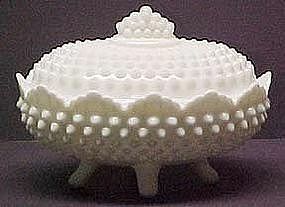 Fenton Cranberry Coin Dot 10" Bowl was made from 1947-1956. It is in excellent condition. Two are available. 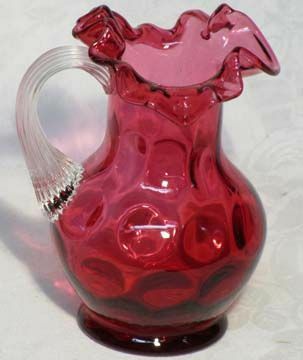 Fenton Cranberry Coin Optic Pitcher is about 5" tall and in mint condition. Made in the 1970's. 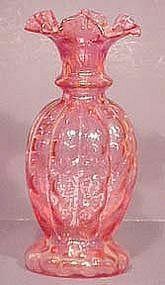 Fenton Cranberry Coinspot 5" Vase. Made from 1947-1961. Vase is in excellent condition.